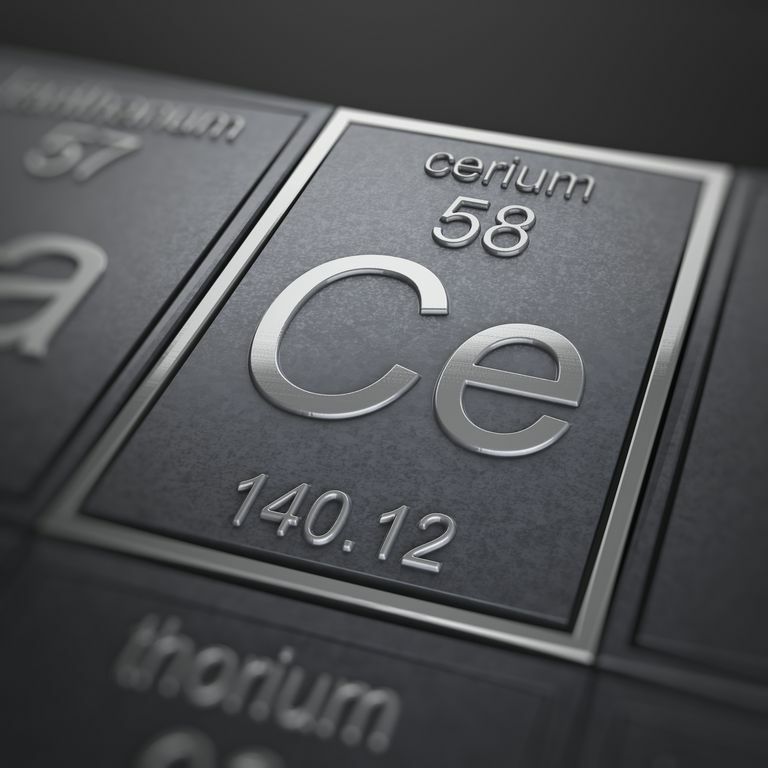 Cerium (Ce) is atomic number 58 on the periodic table. Like other lanthanides or rare earth elements, cerium is a soft, silver-colored metal. It's the most abundant of the rare earth elements. Name Origin: Named after the asteroid Ceres, discovered two years before the element.